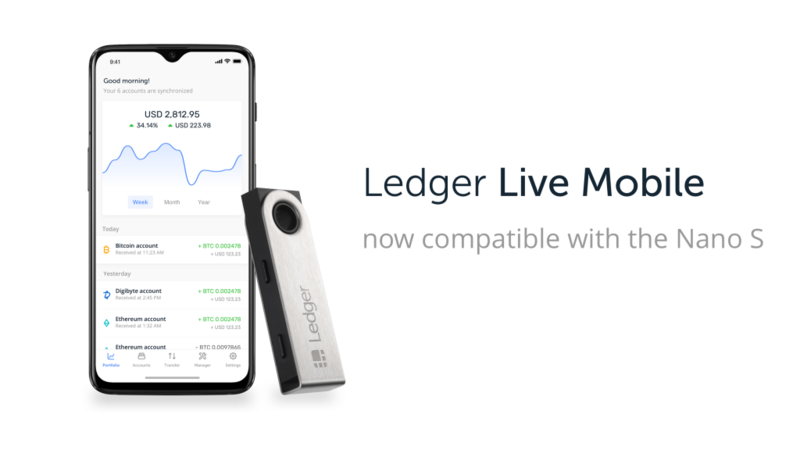 Ledger Nano S: Ledger Live Mobile Compatibility Now Available for Android Users. The Ledger Live Mobile app is now active in its full version, rather than the previous consultation mode. Android users can connect their Ledger Nano S with an OTG cable to manage their crypto assets through their smartphone. Ledger is thrilled to announce that the Ledger Live Mobile app has gone into full production today. Android 7+ users can now use their Ledger Nano S with their smartphone to not only check the balances of their crypto assets, but transact with them as well. Due to technical limitations, iOS users can only use their Ledger Live Mobile app in consultation mode, meaning that keeping an eye on one’s balances is still possible. With the full release of the Ledger Live Mobile app, we are making a giant leap towards making cryptocurrencies more accessible. Being able to access and transact with your crypto assets everywhere you go has always been one of Ledger’s goals, which led to the creation of the Ledger Nano X. We did not intend to leave the nearly 1,5 million Ledger Nano S users without this feature, however. We deeply appreciate our Nano S community and want to provide them with the mobile experience as well to thank them for the many years of support. We are thrilled to bring a mobile experience to our loyal Ledger Nano S community, which is now available for Android users.